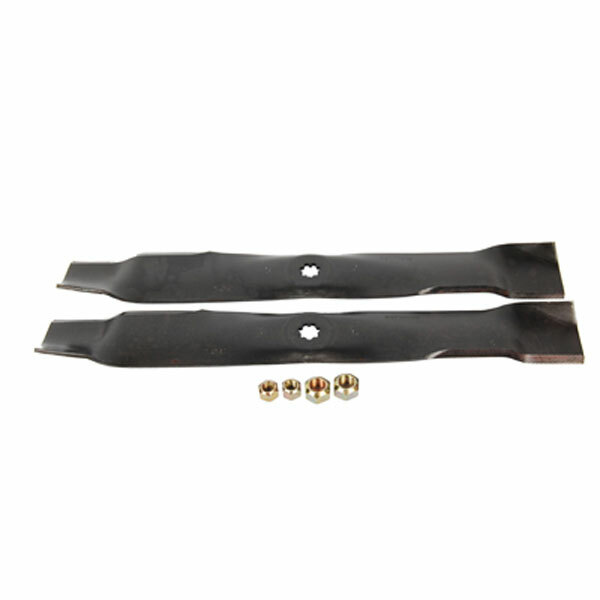 Mulching Blade Kit For 42C Mowers Star shaped center hole fits both round and star shaped blade arbors (Includes 2 Blades and Hardware) For use when mulching kit has been installed. I would recommend these mulching blades to anyone. I added the mulching kit last year and it makes mowing without bagging or clumping a reality. You have to drive slow if the grass is real high, but I bought these blades for the leaf season. I mulch the leafs instead of raking them. Don't try it on wet leafs. They fit good, work well and were delivered fast. Thanks. Tim exactly as described and fit mower. Received in timely manner. Appreciated the quick delivery of the items ordered. The Mulching Blade Kit does a wonderful job. Better than we expected. Mulching blades for the win! Bought these blades and the mulching cover instead of a bagger and couldn't be happier! With this and a new belt my JD 125 cuts grass like nobody's business! Even have my neighbors considering dropping the bagger and doing the same. Thanks greenPartstore.com for the great service and the complimentary beverage coozie too boot! 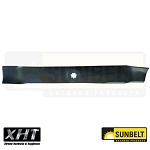 I' ve purchased these mulching blades before from GreenPartstore and they are a great product. I would recommend them and the service is great also. Give them a try! The blades came quickly, installed easily, and mow smooth as silk. It's like I have a brand new mower! Reasonable price, prompt delivery, highly recommend. Received blades promptly and they are exactly as advertised. I have not yet installed them. Great value 30%of the cost in France.